This Upgrade SKU is valid for users who own a current PSQLV8 or older database engine (including PSQL2000i, PSQL7 and Btrieve 6.15) that they will be retiring. 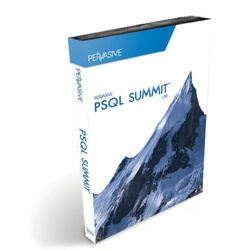 You will need to provide the 9-digit Serial Number or License Key of the PSQLV8 engine as proof of ownership. Although you cannot upgrade UCI licenses, you are eligible to upgrade to the SAME USER COUNT, or to the NEXT USER COUNT HIGHER, as your existing engine. So, a 50U PSQLV8 engine can be upgraded to a 100U PSQLv10. Licenses are available in 32-bit Windows platform ONLY. Licenses are available in Windows 64-bit platform ONLY.